Blessings of Dark and Light continue to be revealed. 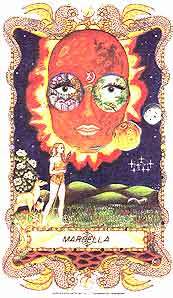 As we enter this New Moon, I am reminded of the wisdom of this statement: “If you always do what you’ve always done, you always get what you’ve always gotten.” That was the advice of Jessie Potter, the featured speaker at the opening of the seventh annual Woman to Woman conference in 1981. As we enter the realm of Alder Moon Mother and the Three States of Consciousness, we might recall this message. As your read the cosmic notes, this month, you will surely understand why. 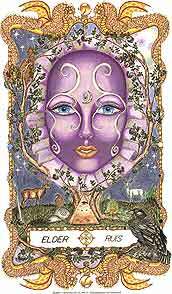 Before I looked at the New Moon Astrological Chart, I had been thinking of my first connection with the Cycle of the Alder Moon. That occurred in 1985. 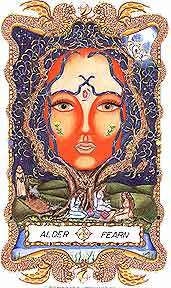 The first two days of the Shamanic travels to the Spirit of Avalon and the Lunar Cycle of Fearn (Alder), I was so excited to feel the thrust of energy pushing the world forward. Yet, a day or so later, I experienced a challenge in the journey as I met with the Spirit of Alder (an aspect of the Divine). It was as though I was interfering and had better turn around and discontinue the journey. It was evident that I was not going to gain information from Alder, who was displaying a disagreeable attitude. She was expressing the Dark Side of the field of energy. She was stopped by an invisible wall and stubbornness took over. Rather than showing me a way to move through it or around it, she simply stopped transmission “for another day,” with a haughtiness that shook me. What field of the Universe had I entered? Had I taken a wrong turn, again? Oh my, what did I have in store for myself? Well, truly nothing because the energy stopped abruptly and I had to return to my ordinary consciousness. In the background of this energy I did hear the Divine Feminine (WomanSpirit) speaking and telling me to check the Astrological event of the day. I discovered that Saturn and the moon were in a great square as they arched energy to each other. A challenging field to be sure. The energy of Alder was “showing” what a haughty attitude could do if we are not finding ease within our flow. Knowing that this truly could stop any and all of us from moving forward with ease, I began to unfold another field of wisdom. Dark and Light are most definitely a part of energy flowing within the Universe. And, the energies do call us to attention (if we allow ourselves this pleasure of awareness). Over the years, and particularly this year, I realize that the “Stop Sign” of energy may have a greater purpose. As you read the Cosmic Influence notes, you will find that not only are the Moon and Sun in Aries squaring Saturn, Saturn is in the field of Capricorn, and radiates strength and intent. Capricorn and Aries are both signs of leadership. In a square, it is as though they are “squaring-off” to see who is the greatest leader. The New Moon arc of light in this square is calling everyone to stop, pause, and consider what is on the path, is it the right path, and how might it be traversed? However, it is not the time to take on an attitude of haughtiness that suppresses the lessons before us. It is not the time to “quit.” It is the time to ponder and find the right path, or be willing to do some personal work before we take on the path with an attitude of “I’m just going to do it regardless of what may happen.” When we take on this,“I’ll do what I want and the rest be damned,”attitude, we are without knowing if we have the equipment needed to accomplish the goal we desire to reach. This is a good lesson for me (still is). For I can jump in and find out down the path that I needed more equipment to achieve my goal. Saturn is sending a message to STOP, PAUSE, AND ALLOW (S.P.A.) the wisdom to be within the moments of contemplation on the path, not simply to go after the goal we desire to reach. Each step on the route has an offering we need to use. When we use the three states of consciousness during this lunar cycle, we will discover that “right awareness” guides us to the perfect outcome of the goal before us. Yes, Alder does have a “go get it” attitude. From the work we have been doing this year, her energy encourages us to take the steps and move forward in our quest of wisdom, power within our inner self, and willingness to achieve the goals of the year (and, hopefully, the goals of our soul). Be (D.E.B.). She calls us into action, but she does not call us into “reaction.” Reaction results in our living the attitude and expression of the two quotes I have provided in this letter. We simply repeat the same attitudes, actions, and false awareness and get stuck. We live in the dream of desires, but we don’t manifest their results in our life. Do this often enough and we simply “stop” in the middle of the road and “quit” moving toward a fulfillment that is a desire of our heart-mind, and quite likely a desire of our soul. How can we tell when we are stopping our soul growth and intentions? We get benumbed. We deprive ourselves of the feelings that are guides to direct us on our pathway. We refuse to feel, listen and cognitively make the changes because the changes appear too hard to do, or impossible to do. We remain in the repeated action of retreading the steps we have taken before and then angrily or haughtily dismissing the urge to take action and fulfill a desire of our personal or soul reality. In fact, I believe, we stop having a relationship with our soul. We simply do what we believe will keep us in some sort of a comfort zone (ah but it is so uncomfortable) and refuse to make the changes. It seems “easier” that way; though we live benumbed. Use of the Stop, Pause and Allow message is certainly needed in this case. What we can learn is how to change our path…even a difficult change. In this awareness, we take the steps of transformation and move forward. Side Note: I decided to see what the name DEB means. Realizing I would likely be taken to a site that would tell me about the name Deborah, I went on an Internet search. LOL, I was provided initial information about a computer program called D.E.B. It is a system for managing programs. Oh, my, what systems do we continue to manage in our inner consciousness? Realizing the greater message about the name Deb (Deborah) would be appropriate to look into, I continued my search for the name. 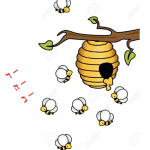 I found that it means “Bee,” and is associated with the Hebrew Heroine and Prophetess Deborah (who was called to battle against an invading army.) Perhaps this is the power to battle the invading army of our memories that have us stuck and unable to move forward. 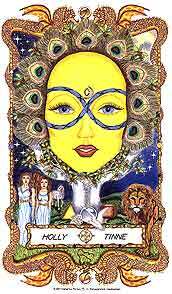 And, Alder and Marsella are messengers of the warrioress. Alder provides us with a great power to Do, Express and Be. Using the symbols of the Hebrew Letters of DEB, we would correspond them to the Hebrew Letters: Daleth (Door/Law of Creative Imagination & Law of Attraction), Heh (Eye of the Divine/Law of Worldly Development), and Beth (Temple and Logos/Law of Expression). Thus, we can say using the power of D.E.B. (Do, Express, Be) we are called to open the door to creative imagination. See the vision of our desires developing through the Eye of the Divine, and Express the desires in the Holy Temple of our words, actions, and faith. Well, once again, we meet up with the Law of Creative Imagination and the Law of Attraction. We are called to use our imagination to see the true self and attract the inner-most qualities of our skills, will power and natural flow of existence. It is time to allow yourself to experience the power of D.E.B. Alder is a very dynamic field of energy. It prepares the energy that calls us to move forward and take action toward goals we desire to accomplish. However, as we are introduced to her energy at New Moon, we do have a hesitation field of energy that will effect us for about 7-8 days as Saturn in Capricorn (Saturnea/Saturn in Birch/Capricorn will continue to hit the rays of the Sun/Suil passing through Alder/Aries), creating a “stop, listen, and learn” effect before we can move forward. Saturnea/Saturn will effect the Moon in Alder/Aries until April 6th at 7:06 a.m. MDT. Alder is the vibration supporting and inviting our Cognitive Consciousness to look forward to our journey, and take on the intention to unfold the actions that will supports our goals for the year. This field of energy, when using the awareness that we are in a stop and go mode, we will not be overtaken by hesitation that can make us quit. Rather, we have the opportunity to use the power to cognitively observe more of what we may need to take with us on the journey toward desired outcomes and put it all together in ways that guide our skills and encourage our true will power to be expressed. Marsella is an incredible action force within all of us. This energy calls the foundational field of consciousness into action. Marsella calls us to act from within before we take off on the journey of our goals, thus supporting the process of the New Moon. The “within” vibration is refining creative processes we have started, want to adjust, and ultimately bring into manifestation. Marsella will urge our ability to consciously go within to gather the power we do have to redefine and refine our processes for reaching the goal at hand. Marsella encourages us to get into the natural flow and build from that core quality. She carries two important corresponding states of wisdom: 1) The Law of Purification and the power to use our 2) Human Mouth to declare the expression of Spirit is the power to Manifest our Human reality. When using these powers in synchronization of our higher will, we will bring out the greater Light. This light reveals the path before us. It helps us move through obstacles that could stop us in our track. The light activates our creative will power and weaves it into full fledge manifestation. We do have a helper in the realm of our Unconscious, especially if we are willing to listen through the ears of our higher nature rather than being stuck in the field of no cooperation with our soul-self. Action: Before heading into the realm of our subconscious/unconscious, I encourage you to create an affirmation that supports your willingness to pause and review, refine and redirect your intentions to succeed in fulfilling your personal and soul desires. Use a power of Marsella to “speak” through your human mouth, the words of your Higher Self, that affirm your progress on the path of multiple successes that will lead you to the ultimate goal of the year. Affirmation: ___________________________________________________________________ ______________________________________________________________________________ ______________________________________________________________________________ _______________________________________________________________________________ ______________________________________________________________________________. The subconscious (memory bank of this life) can be a positive field or a challenging field. Let me speak of the challenging energy first. adding our own cooperation to the mix of manifesting an outcome with others supporting us rather than fighting us. This stifles the creative process and entraps us in the hole we dig for ourselves. 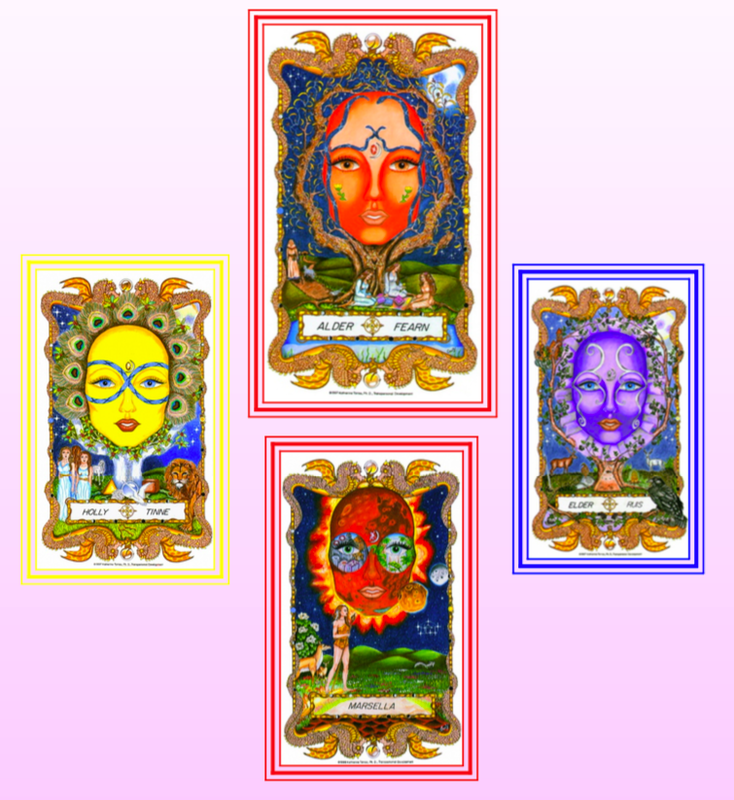 Yet in the positive field, Holly can remind us that we have a talent to express and when connected to our inner strength and positive will, we bring the talent to the forefront. We create ease in our life by being playful, joyful, and explorative; as well as using the Law of Self Dominion. The Unconscious level of Holly during this cycle is magnificent. Connected to this field we allow our self to let the flow of our soul intention work with the creative ideation that Marsella activates. Our soul urging becomes a positively dynamic energy that keeps us on track as we unfold the picture of our goals and put the puzzle pieces together that results in a complete package of talent, honor of self and others, and with a cooperative nature that we can feel. We will experience it as we, personally, cooperate with our inner urges. We will also feel the power of our selves collaborating with other people on our path and notice how easily they unify with us. We know we are all a team and it takes the team to build the dreams into actual realities. We are thus loyal to our journey and committed to manifesting an outcome through the field of our Unconscious as well as subconscious. With this power we will not continue to do the same thing over and over again. Subconsciously Marsella can put us in the challenge of “Fight or Flight.” We will either stand up to our old memories and show our greatest will to succeed and become our own “spiritual warrior,” or we will get into the position of “flight.” When in this position, we become frightened, feel unprepared, off guard, and incapable. We stifle the dreams we desire to create and see manifested. In fact, we will become benumbed. Stubbornly, we will continue to “Do the Same Thing Over and Over Again and Expecting Different Results!” We will allow our self to become benumbed. However, tucked in our subconscious we may not even realize what we are doing. Especially if the Dragon of Fear emerges from the realm of insecurities. In the Marsella field of the subconscious energy of Holly, we will battle ourselves with arrogant attitudes that our “benumbed state” is right and we will righteously stand our ground to do nothing. We will be insensitive to our true needs and fight for the right to remain unresponsive. Excuses will flow to our mouth and our words will betray us. Unconsciously, Marsella is a huge helper. Stirring the passion, purpose and drive of our soul, we will experience the urge to make changes, clear the clouds of fear, and open our soul intentions that are ever unfolding. During this time of Alder and the Holly influence of the Unconscious, we will us our stubborn power to clear and cleanse fear, heal the belief of “I can’t,” and raise into the activity of creating new realities for our self. Refining will be a creative experience within us. We will feel the essence of Spring in our whole being and take a walk on the light side of our creative, playful and fulfilled self. In the presence of Elder, the new moon, and Supernal Consciousness, I am humbled. The reality that we have an “Action – No Action” energy field as we enter the realm of the new moon, Elder provides us a way, to Stop, Pause, and Allow. She radiates the quest for Sacred Silence so we may hear the direction of the Divine, the most high consciousness within us. scripting the wisdom of every step we will take to manifest our desires and intentions. We will adapt to the scripture and allow it to be the book of wisdom and the energy of creation we use. Within the blessings of Elder is the clear view of the Divine Eye, the guidance of the Holy One, and the stability and stamina to be directed as we hold to the sacred the path before us. We are given the blessings to enter and exit this realm of consciousness as many times as we desire. In so doing we grasp the wisdom and use it with a very effective sacred attitude. We merge with our Supernal Consciousness and take dominion in our personal world as we create and expand the goal of our soul, the urges of our desires, and the great reality of being present in the moment to create, refine, and develop the perfect outcome. For sure Marsella will bring out the blessings of the Spiritual Warrior as the Defender of our aspirations to live the effective power of the I AM within our Supernal Consciousness. Her field of inspiration will guide us right to the point of silence where we will Stop, Pause, and Allow the creative inspiration to come naturally to our awareness. This fiery nature of intention will guide us from our highest awareness, teaching us how to refine and develop the goals intended to manifest in our earthly experience. She will help us make changes without any part of our self feeling lost, limited, or a looser. The temerity scripted within this level of ourselves will guide us in pure unadulterated confidence. The freedom to Do, Express, and Be (D.E.B.) is a sacred confidence that guides us through any shadow or shadow boxing we might encounter. In fact we will enter the realm of natural creating and tame the beast of any fear while initiating the Wild and Free Creator within us. We do begin this lunar month without jumping into action. However, after a few days of internal journeys for a higher direction, be willing to get into Right Action and Sacred Purpose. Allow your inner self to reveal that you are a Creator Creating, which is a gift, a blessing, and a Grace of the Holy One. May you journey in sacred alignment and Divine Purpose as you flow through the lunar cycle of Alder and the Three States of Consciousness. Please know these are not exact dates, but very close.